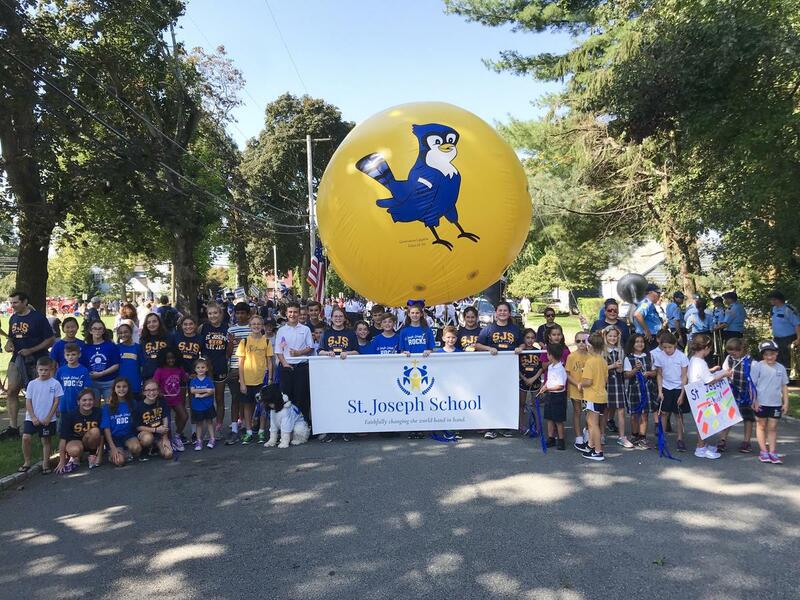 St. Joseph School celebrated the end of summer and the beginning of the new school year at the annual Mendham Labor Day Parade! What an amazing morning full of SJS pride! St. Joseph School students, families, staff, alumni and friends all marched in the annual Mendham Labor Day parade! This year, SJS showed its amazing school spirit with a giant balloon designed by seventh grader Genevieve Lagana and donated by SJS dad Paul Lebowitz. To view pictures from the day, click here.